Today, March 8, 2012 is International Women's Day–a good time to reflect on the needs of maternal and infant health care throughout the world. Maternal health is one of the most pressing issues in developing countries, where millions of women lack basic health care for themselves and their children. Here in the Central African Republic, nearly 25 percent of children under five are acutely or severely malnourished, according to the UN Children's fund. One out of five children born in this country will not live to see their fifth birthday. The CAR has one of the highest maternal mortality rates in the world, with 1,355 deaths per 100,000 live births. Women usually give birth at home in unsanitary conditions, with the help of family members or local birth attendants with little or no formal training. If there are any complications, the mother or child, or both, often die. A bright spot in this sad picture is the Emmanuel Health Center, where a team of health-workers provide pre- and post-natal care, safe deliveries, and pediatric care, including treatment of malnourished infants and children. 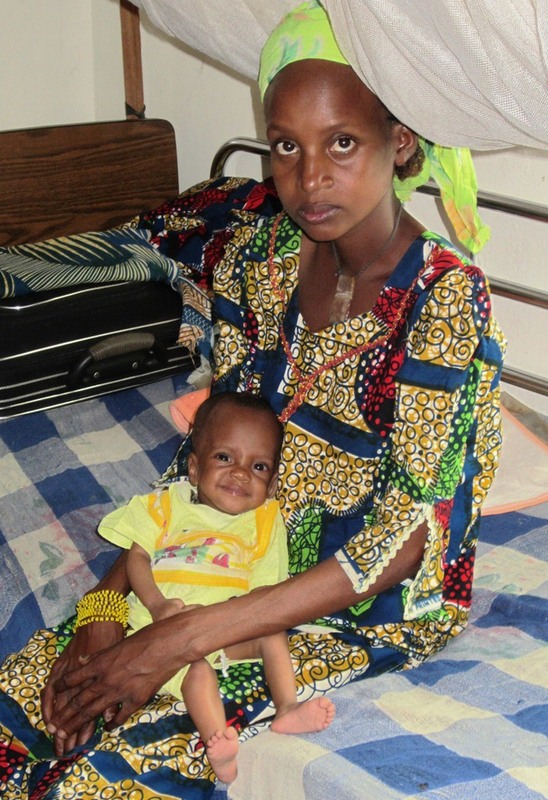 The Evangelical Lutheran Church of CAR runs two such clinics: Emmanuel Health Center in Gallo in western CAR, and the Maternal and Infant Health Clinic in Bohong in northwestern CAR. The church also sponsors a community health program which sends health workers into villages to give vaccines, and provide pre-natal counseling and follow-up care for newborns and their mothers. If you want to help, contact Rev. Twila Schock, Director for Global Mission Support, The Evangelical Lutheran Church in America, 8765 West Higgins Road, Chicago, IL 60631, Telephone: 773.380.2641, FAX: 773.380.2410, Twila.Schock@elca.org. Photo: Mother and child at the Emmanuel Health Center in Gallo, CAR. The infant is being treated for severe malnutrition. He is nine months old, but weighs as much as a typical 2 to 3 month old. Joe and Deborah are ELCA (Evangelical Lutheran Church in America) missionaries in Baboua, the Central African Republic. Pastor Deborah teaches at the Theological School in Baboua. Joe serves as technical advisor for PASE, which provides clean drinking water and promotes good hygiene and sanitation to villagers. Their daughter, Christa, attends ninth grade at Rain Forest International School in Yaoundé, Cameroon.